I’m Sylvia, designer and maker at Tilly & Puffin. From my seaside home in Dingle I create colourful and charming hand stitched felt ornaments and home decor. 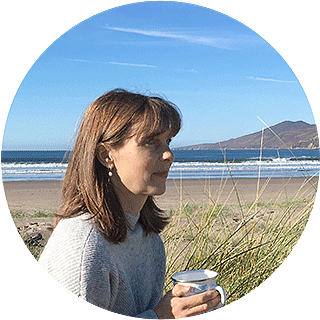 Inspired by the Irish landscape and the sea and coastline, among my designs you’ll find unusual and meaningful gifts, and special decorations for your home and family celebrations. With my range of sewing kits and patterns, I aim to inspire and encourage your creativity while sharing my love of making things by hand.